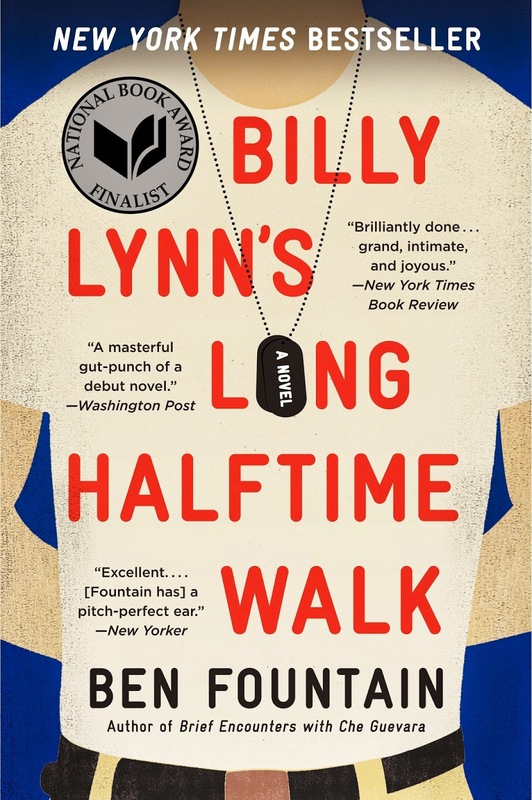 I shared my friend Emily's review of Billy Lynn's Long Halftime Walk when I learned that Ben Fountain's National Book Award finalist was heading to the screen with acclaimed Oscar winning director Ang Lee at the helm. The project —an edgy satire— was already sounding like an exciting prospect but today the news got even better; The Wrap is reporting that Kristen Stewart has joined the production, re-uniting her with On the Road's Garrett Hedlund. Hedlund plays the abusive leader of Bravo company, Sgt. Dime. I was hoping Stewart was cast to play the role of the born-again Dallas Cowboy's cheerleader and Billy Lynn romantic interest, Faison, so I could say Roll me over and shout Hallelujah! but alas The Wrap is reporting she's been cast as Kathyryn, Billy Lynn's older sister. I play Billy Lynn's [Joe Alwyn] sister, I act as a mouthpiece for anyone who might disagree with why the war is being fought, and also for anyone who might be closely related to someone who’s fought for something they don’t stand behind. I’m the one person in the whole movie that asks the obvious question. Thanks to @my-vaso for the heads-up. Filming begun last week in Atlanta, with the Georgia Dome slated to stand in for the Dallas Cowboys Stadium. The movie will also shoot on Comb Street in the tiny town of Locust Grove, Georgia. The small town news story doesn't say which character's house, and I'm not far enough along in the book to tell you, but it's also supposed to be in Texas and I wouldn't be surprised if it wasn't Billy Lynn's. More when I know. Here's a look at Combs Street pulled from Google. Please not they are NOT shooting at the address show, that's just to give you an idea of the small-towny feel. Billy Lynn's Long Halftime Walk tells the story of 19-year-old soldier Billy Lynn and Bravo squad, who are brought home after surviving an Iraq battle and celebrated as heroes. The Bush administration sends them on a promotional tour that culminates at the halftime show of a humungous Thanksgiving Day football game in Dallas, before they head back to war-torn Iraq. Most the movie takes place during the game, with flashbacks and cutaways to other events. Kristen Stewart is having a very good year; her supporting work in films like Still Alice and Clouds of Sils Maria — for which she won the Cesar, the first for an American actress — has earned her a new measure of respect in the film world. She's finally shed her Twilight skin, but not the fans she made from it, and moved into a new era of demanding roles. I think she's one of the really interesting young actors working today. Steve Martin is onboard, most likely as the Hollywood agent, Albert, with the titular part of Billy Lean going to young newcomer Joe Alwyn. We've also learned that Vin Diesel and Chris Tucker have been cast but their character names haven't been revealed yet. The adaptation was written by Slum Dog Millionaire's Simon Beaufoy. The film which was set to start filming later this month which means the busiest folks onboard — outside of Ang Lee — are probably working in the Art Department; the production designer Mark Friedberg and his art director Kim Jennings; the pair won an Emmy for their Mildred Pierce sets, let's see how they do with the Dallas Cowboys arena. I guess they must be keeping their set decorator, Elizabeth Keenan, running too—one of my dream jobs, by the way—Keenan worked with the pair on their recent venture, Selma. Oh, and costume designer Joseph G. Aulisi whose work in film goes back to 1971 with Shaft! Looking on twitter, there's some fan pictures of shooting in Atlanta! It looks like filming is underway now! Check out the photo from Simone's instagram account —and may I say, Simone, what a beautiful name! Er, I go by Sim but Simone is my real name too.